Allen’s most underrated, under-seen work is also one of his shortest, at 84 minutes. It has a remarkably elegant hold on tone, and the lead performance of Gena Rowlands must be one of the three or four greatest in Allen’s oeuvre, along with Keaton in Annie Hall, Landau in Crimes, and Blanchett in Blue Jasmine. Rowlands plays Marion, a philosophy professor whose accidental eavesdropping on Mia Farrow’s therapy sessions prompts a sudden set of reflections on her own life. Gene Hackman, Ian Holm and Martha Plimpton feature in the flashbacks and present-day scenes she’s weighing up against each other, trying to work out where her life slid into a rut of barely noticed unfulfilment, and how to escape it. 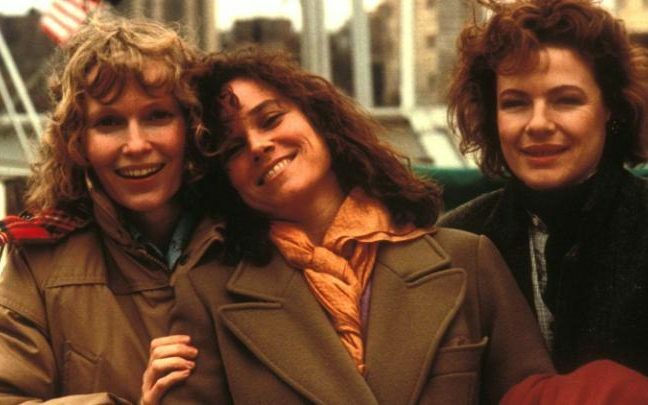 In the film’s most unnerving scene, she bumps into a high-school friend (Sandy Dennis) who dumps a shocking checklist of grievances in her lap, revealing Marion’s long-held view of herself as a kind of mirage. 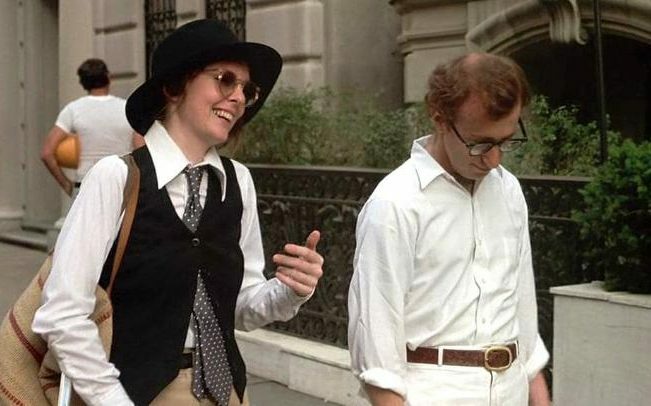 Every scene, every gag in Annie Hall is so familiar that it’s easy to forget how abrasively strange it is: the subtitled romantic double-speak, the outpoured soliloquies to camera, the temporal freeness, even Allen’s character, Alvy Singer, wandering through his own childhood flashback. It’s a romantic comedy the like of which cinema had never seen before and hasn’t since. Allen and Diane Keaton are jousting here on such a perfectly even footing, and with such supremely matched warmth and wit, that you half feel she should be credited as co-director. It’s established in Allen lore that the picture was originally a two-and-a-half-hour solipsistic ramble, with Alvy and Annie’s fling relegated to a subplot. But in the edit, their relationship was what brought the film to life, and the dead wood was mercilessly cut back. Allen’s preferred name for the film he’d originally planned was Anhedonia: a Greek term for the inability to feel pleasure. There couldn’t have been a less appropriate title for the finished film. “People carry awful deeds around with them. This is reality. In reality we rationalise, we deny, or we couldn’t go on living.” With these words, ophthalmologist Judah Rosenthal (the magnificent Martin Landau) tries to justify an appalling crime – his last recourse, after he orders the murder of the mistress (Anjelica Huston) who is threatening him with blackmail, in holding on to the cushy existence he’s built. 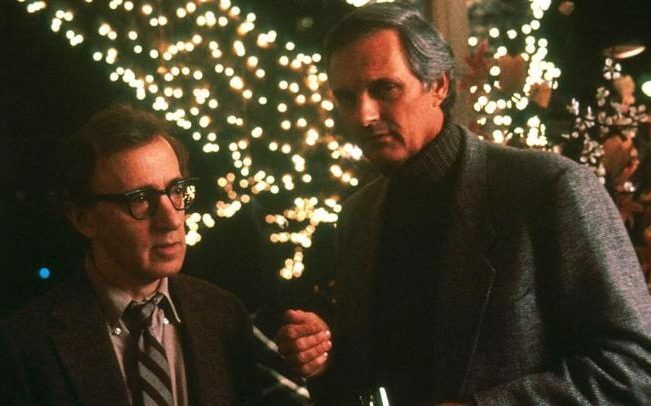 He’s speaking to the film’s other main character, Allen’s documentary filmmaker Clifford Stern, in the one scene they share, sitting apart from a wedding celebration at the film’s very end. Not here the fortune-cookie insights that some of Allen’s lesser pictures call philosophy. Here he’s thinking deeply about moral choice, the question of whether guilt in your own eyes or the eyes of the world matters more. This bubblingly wise film, rich with beautifully dovetailing metaphors about blindness and conscience and the perils of self-knowledge, has only grown in stature since its release. It is Allen on soaring form, gliding so elegantly through its maze of ideas it’s as if the spirit of Fred Astaire gave it lift-off. Here it is: not just Allen’s creative pinnacle, but perhaps the most perfectly assured braiding of comedy and drama in mainstream American film. It feels like the miraculous sweet spot between all of its filmmaker’s many modes and tones – biting without being cruel, profound without seeming sanctimonious, warmly humane without collapsing into goo. The diverging romantic fortunes of Hannah (Mia Farrow), Lee (Barbara Hershey) and Holly (Dianne Wiest, who won an Oscar, as did Michael Caine) provide an ideal, Chekhovian structure for Allen to check in on a midway state of adulthood, when there’s already a sense of disappointment about squandered promise and happiness unsustained, but still a great deal to play for. And this is what makes his bittersweet symphony so affirming, and generous-minded to all involved, and the viewer most of all. Without cheating its way out of everyone’s massed misfortunes, it says, in so many words: don’t give up.